If you're a fan of anything rose and at the same time discerning about quality this is the perfume for you. This bottle contains a clever, skilled and perfect blend of patchouli notes with the fragrance of rose. You will be amazed at the quality of this perfume for the modest price. Highly recommend to rose lovers and romantics everywhere. 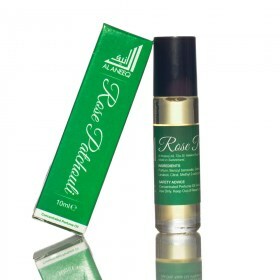 A wonderful blend of earthy patchouli and fresh roses. Parfum, Benzyl benzoate, Geraniol, Citronellol, Limonene, Linalool, Citral, Methyl 2-octynoat.